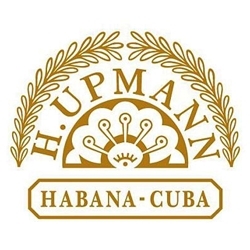 Considered a favorite among cigar connoisseurs, the H. Upmann premium cigar brand has always been highly respected. This hand-rolled premium cigar was first created back in the 1800’s by two brothers, August and Hermann Upmann who started the H. Upmann brand in Havanna, Cuba. Today these handmade cigars are still going strong as they are assembled from top-selling tobacco blends cultivated from the Dominican Republic, Brazil, Ecuador, Nicaragua, and Peru. H. Upmann only uses highly skilled cigar rollers to construct these finely balanced and flavorful profiles, making this premium cigar brand the premiere go-to smoke. Smokers Discounts currently offers the Reserve 1844 and Maduro series and the very popular Vintage Cameroon premium cigars. If you’re looking to purchase an excellent premium cigar from the H. Upmann line, Smokers Discounts can make that happen with product delivered right to your front doorstep. We’ve made it easy and affordable to buy premium cigars online. A variety of sizes and flavors are listed below. Each of these styles are in stock and available today for a discount price! Call us for more details!